One thing I actually used to be able to cook well when I was a kid was mac ‘n’ cheese. Granted, not from scratch. It was just the boxed “add-this-and-that” stuff. But my sister and I enjoyed it! And it’s still one of my favorite dishes at Golden Corral. However, as part of a daily meal plan, it’s really not a healthy meal option. Therefore, I present to you — a healthified but still delectable “mac” ‘n’ cheese! It seems as if cauliflower is one of the new big health foods — it can be substituted for rice, potatoes, pizza crust, pasta….the list goes on! And this mac ‘n’ cheese recipe definitely isn’t the only one out there. But here’s my take on it, and I hope you enjoy it as much as I do! 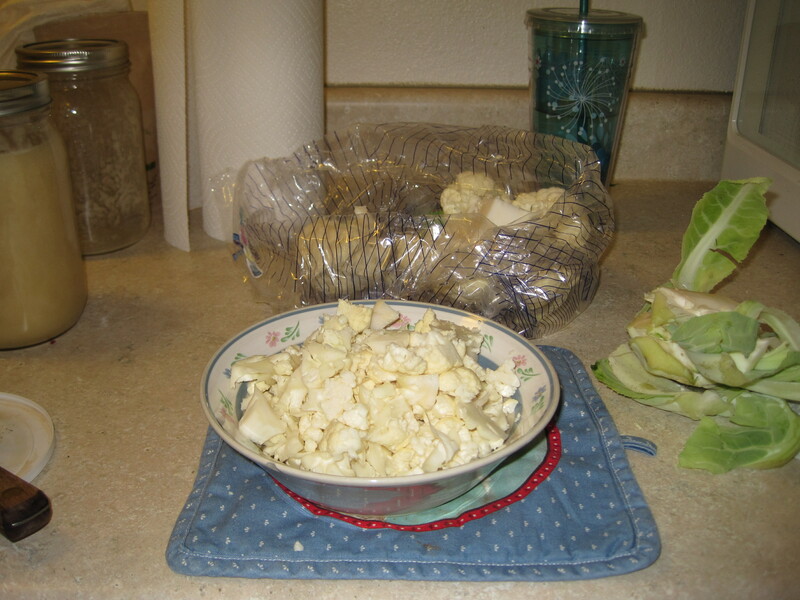 Rinse the cauliflower and cut up enough to fill a regular soup bowl. 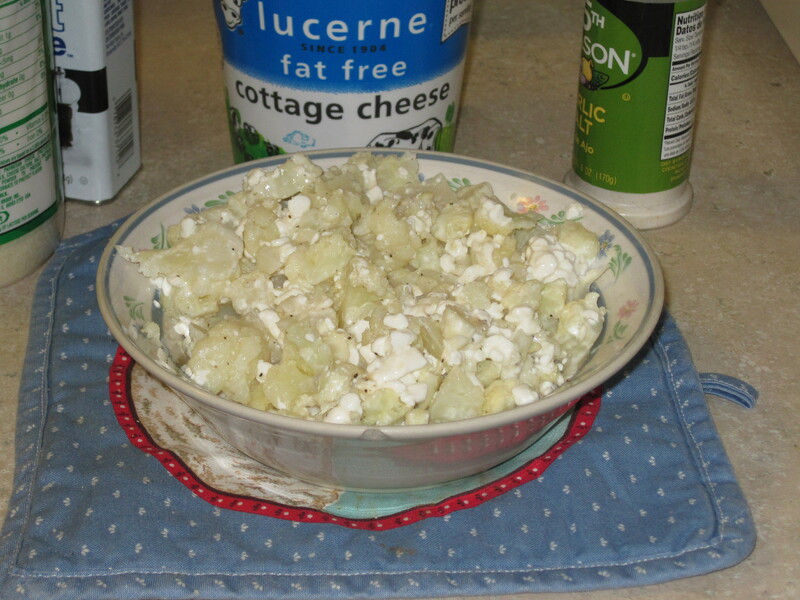 Cut small pieces, not bite-size chunks; the cheese spreads throughout the mixture better this way. 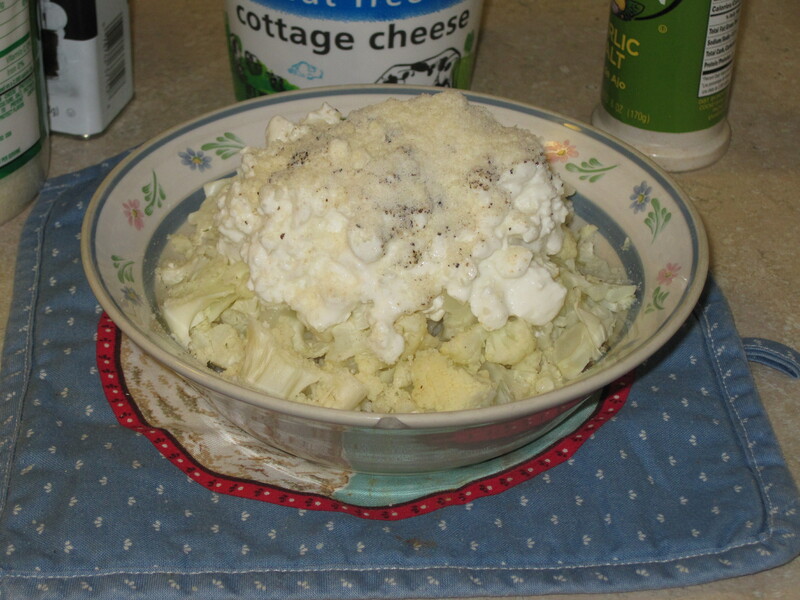 Add just a splash of water to the cauliflower (it doesn’t need much since it’s already wet from being rinsed). Microwave for four minutes. Add the other ingredients and stir them all together. 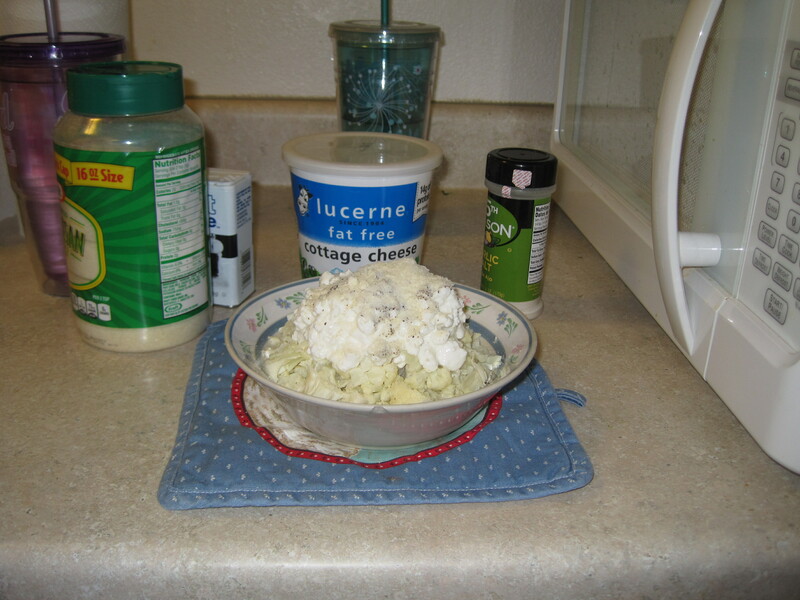 I used probably two or three tablespoons of Parmesan on mine; you can adjust the amount to suit your tastes. Microwave for another minute so that the cheese has melted. 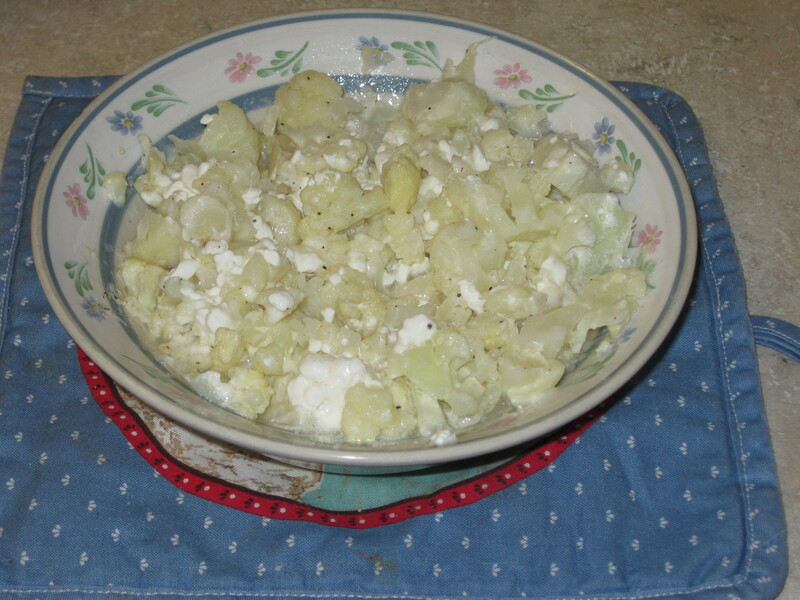 Have you substituted cauliflower in other dishes? I’ve used it in place of rice and loaded it with refried beans and tomato sauce; that’s good, too! What’s one of your favorite not-too-healthy-but-oh-so-delicious comfort foods? Have you ever tried Golden Corral’s mac ‘n’ cheese? Or how about Outback Steakhouse’s? Yum! I haven’t tried those yet….I’ll have to look up a recipe and give it a go. 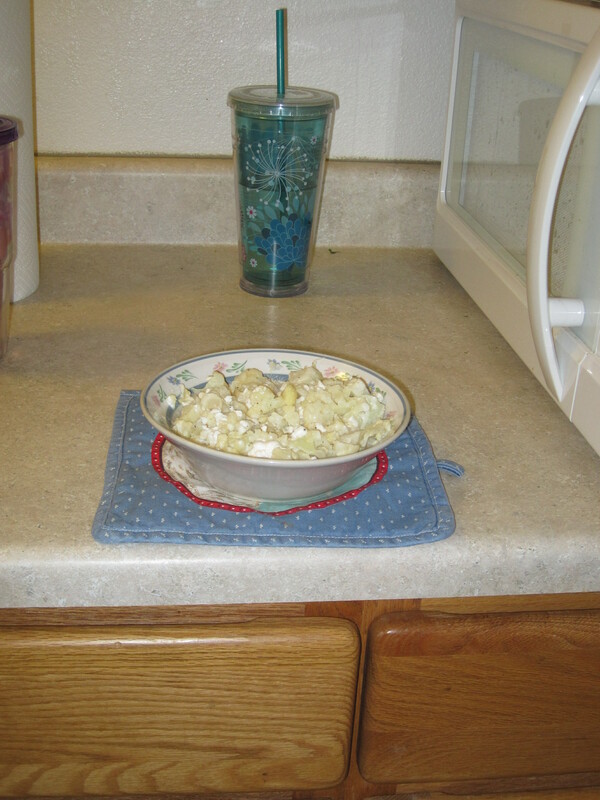 I have made cauliflower alfredo sauce though — now that is delicious!